Zinzi has a talent for finding lost things. To save herself, she’s got to find the hardest thing of all: the truth. Lauren Beukes has an astonishing talent with words. She uses words like a painter uses paint and does it exceedingly well. 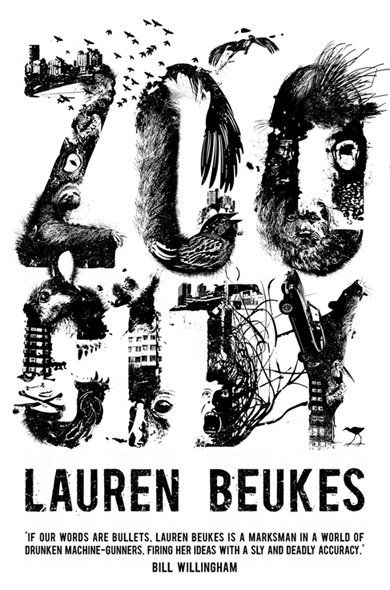 In “Zoo City” she creates a vivid version of contempary Johannesburg. A Johannesburg where magic and muti is real and where Hillbrow (the Zoo City in the title) is a haven for ‘animalled’ people. The ‘animalled’ are people who due to their sinful deeds are magically tethered to an animal companion. It is believed that the animal is a physical manifestation of their sins – their cross to bear for all the world to see. Separation from their animal companion causes extreme pain so they are forced to take the animal with them wherever they go. The animal companion also acts as protection against the Undertow, a physical manifestation of darkness (hell?) that comes to claim the person when their animal dies. The main character, Zinzi December, in one of the ‘animalled’ (a zoo in slang). She has a sloth on her back – literally! It isn’t all bad though, each ‘animalled’ has a special talent. In Zinzi’s case it’s the ability to find missing things. She uses this talent to make a living by finding lost items, charging a reasonable fee for their return. That’s of course when she isn’t busy running a 419 scam in order to pay off her drug debts. This was the first time I read something by Lauren Beukes. I’ve been meaning to get Moxyland when it was first released, but never got round to it. Zoo City is very well written and populated with vibrant characters and situations. It depicts real world problems that are still prevalent in South Africa – the homeless, drug abuse and discrimination. The dialogue is witty, full of pop-culture references. Best of all it contains quite a few uniquely South African terms and sayings which was refreshing to see. The story and concept is captivating. While it does seem to be heavily inspired by Pullman’s “The Golden Compass” it is given a unique enough twist to keep things interesting. Some elements, like the Undertow, could have been better explored. At the start you are left with no clue why people have animals following them around, but gradually things start to make sense. Some sort of explanation closer to the start of the novel might have been less confusing. The ending is also somewhat of a letdown, but leaves enough room for a possible sequel. Zoo City is definitely recommended for fans of Urban fantasy. It is a riveting read that kept me turning the pages and forced me to finish it in a single day. The last couple of weeks I've been in a reading slump. I just can't seem to concentrate on reading. I'll start reading a book and then after the first 30 or so pages loose interest. It's not the book's fault, it's just that I'm not in a reading mood. So in an attempt to get my mind on something else and perhaps reawaken my reading appetite I've been focusing a bit more on my astronomy hobby. In particular getting some more imaging done. So, without any further needless verbosity I'm proud to present an image of Jupiter and three of its moons. These were taken under less than ideal conditions, but turned out reasonably well. If you look very closely at Jupiter you'll be able to spot the Great Red Spot. Something else to take notice of is that Jupiter only has one belt at the moment (the dark brownish colored band to the lower right of the image). The Southern equatorial belt has disappeared, but it will make an eventual return. The cause of this phenomenon isn't known and it is interesting to keep an eye on Jupiter to see when the SEB will appear again. Jupiter was also at opposition on the 21st of September, which means that it is on the opposite side of the Sun and that the Earth is between the two. It is also the closest distance to the Earth since 1963, at a mere 592 million kilometers! So fellow bookworms, don't miss out on this chance to see Jupiter at its brightest. Go outside and look to the East. Jupiter will be the brightest "star" you can see rising from 20:00 onwards. If you have binoculars give spotting the Galilean moons a go. If you are lucky you should see four bright dots surrounding the planet's disc. 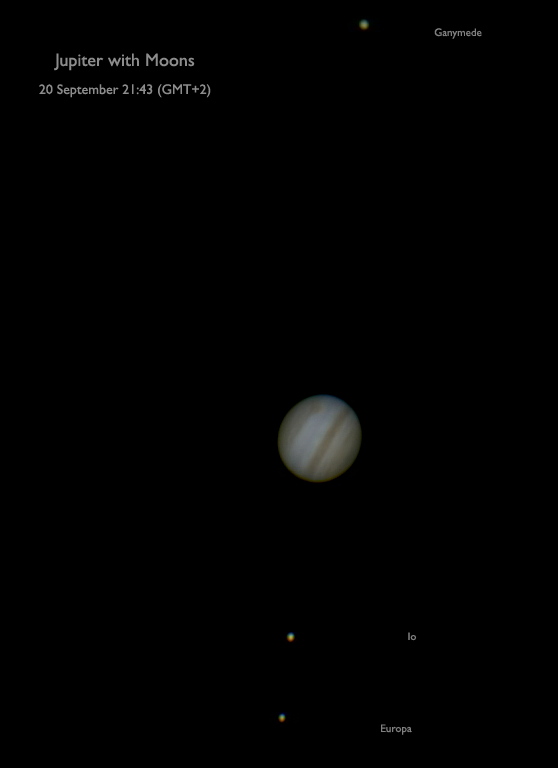 These are Io, Europa, Ganymede and Callisto, the four largest and brightest moons surrounding Jupiter. I grabbed this book on impulse at the local library. Since it’s a pretty small library I always struggle to find books I haven’t already read. 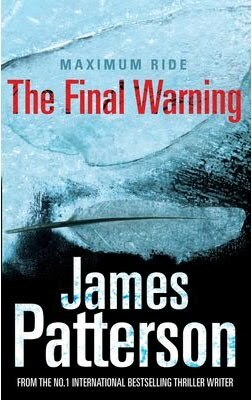 I generally like James Patterson’s work (or more correctly the work by him and his collaborators) so I didn’t pay much attention to the book description. When I got home I home I discovered that it was actually a YA novel, and the fourth novel in the Maximum Ride series. Having read When the Wind Blows and The Lake House, I thought it might still be interesting to see what happens to Max since the character and concept of genetically modified children was originally used in those two novels. Since I haven’t read any of the earlier Maximum Ride novels I got dumped into the deep end. The novel follows the adventures of a Flock of genetically modified kids who all have the ability to fly (the exact same concept as in When the Wind Blows!). The Final Warning is largely told from the viewpoint of Max (a 14 year old girl, and the flock leader) and is interspersed with blog entries by Fang, also 14 and seemingly Max’s awkward love interest. The other characters are Iggy (a blind boy, the same as the Icarus character in When the Wind Blows), Nudge, Gasman, Angel and Total (a talking dog!). The Flock joins a scientific expedition in order to help save the world from global warming. They travel to Antarctica where they will help the scientists to gather data. While there they are captured by the ever present villains - the Uber-Director, his Frankenstein-like henchman, Gozen and their robot minions. The paper thin plot revolves around the subject of global warming albeit in an extremely contrived manner with characters voicing clichés or spouting facts related to how bad the situation is. Even the final conflict between the Flock and the Uber-Director is magically resolved by ‘forces of nature’ attributed to global warming. This almost seems like a flimsily disguised “Inconvenient Truth” aimed at fooling teens into learning about global warming by following the adventures of their favorite book characters. Very young readers might find this a satisfying read, but if you aren’t in your tweens you will quickly get tired of the preachy tone and a storyline where, ultimately, nothing much happens. The ending leaves you completely unfulfilled, almost like eating candy floss when you are starving. Read it if you have a few hours to kill, but don’t expect much. 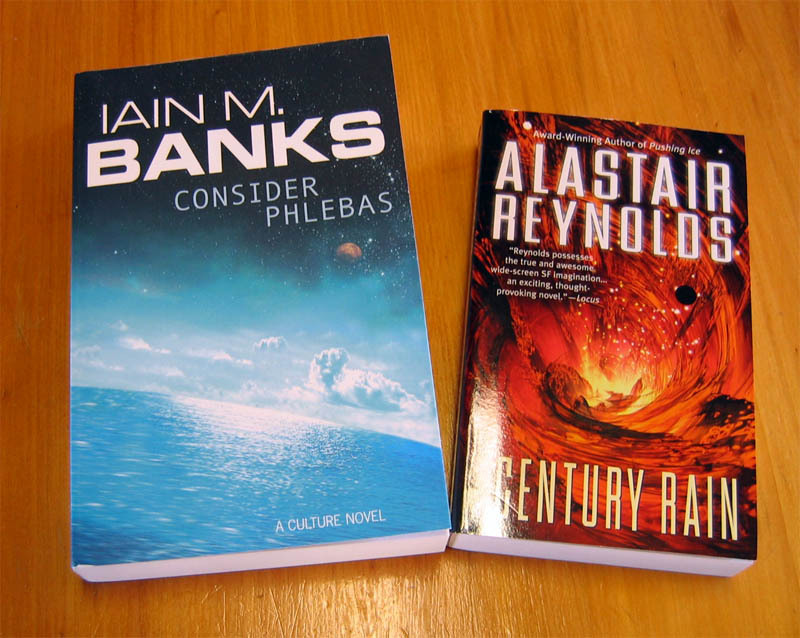 The second half of my Book Depository order arrived today, so I'm over the moon. There are quite a few new authors in there that I want to try out, but it's going to be a while before I actually get around to reading them. I guess that goes with having an ever increasing to-read list! But wait! That's not all. Another package was also waiting for me at the Post Office. I wonder what it could be? Another collection of books! These are some secondhand copies I picked up from an online auction site. 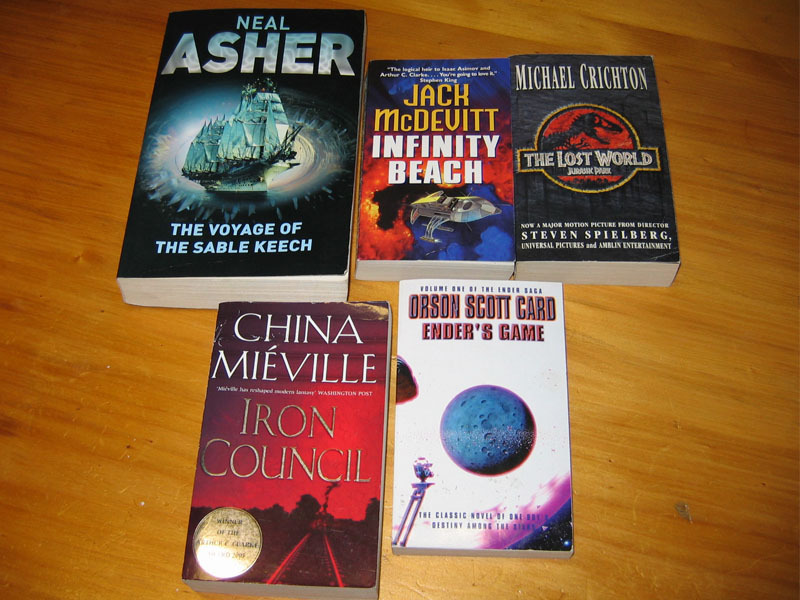 They are in great condition and the price was low enough to convince me to overspend on my book budget (yet again!). So now I have eleven new arrivals to find some space for. I really should get a MUCH larger bookshelf sometime soon! This is not book related, but it's still very cool. One of my other hobbies is amateur astronomy. On Saturday, 11 September 2010, South Africa was in an ideal location to view a rare occultation of Venus by the Moon. Occultation is just a fancy way of saying that one celestial objects seems to disappear behind another. In this case it was Venus that disappeared behind the Moon. One added benefit was that it made it extremely easy to see Venus during the daytime as a bright dot of light. I managed to capture a few images, but since this happened very close to the Sun conditions weren't ideal resulting in images that seems a bit washed out. Using some carefully selected still images and compiling them into a video gives a good idea of what it looked liked. So if you missed it here's your chance to see it for yourself! Look what the postman delivered today (ok, to be truthful I had to go collect them at the Post Office after getting a notification) - more books to add to my already huge "To Read" pile. The Book Depository delivers yet again. I know I'm starting to sound like a walking advertisement for them, but they are really awesome. Can't wait for the rest of my order to arrive. I stumbled upon the The Night Angel Trilogy while browsing for something to read at my local library. I've never heard about Brent Weeks so I decided to give a new author a try. I wasn't expecting much, but after finishing the first book in the series I was completely hooked. There's something about Brent's writing style that is just completely captivating and the worlds and characters he creates are amazing. I finished the first book in a single day and rushed back to the library for more, only to be told that the rest of the books had been destroyed in a recent fire. I just had to know what happens next, so I immediately went home and bought the ebooks and the rest of the series was absolutely amazing. If you haven't read The Night Angel Trilogy you definitely should. It's one of the best fantasy series I've read in a long time, and comes highly recommended. As soon as The Black Prism was released, I just had to have it. I went the ebook route since I didn't even want to wait for the physical book to be delivered. Once again Brent Weeks delivered the goods. If you enjoyed the Night Angel Trilogy you will love The Black Prism. 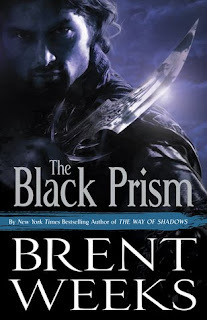 Brent Weeks brings a completely new world to life with one of the most innovative magic systems I’ve seen to date. All magic sprouts from the manipulation of light. Each color has different properties and can be used to different effect or even combined in interesting ways. Some mages (drafters) are able to use more than one color, but only one, The Prism, has access to all the colors. The characters are endearing and the banter between them is quite funny at times. Once the groundwork for the world, magic system and politics are established the book really starts to get interesting. I almost finished it in one sitting and as the end got closer I started wishing for more pages! It's difficult to discuss the book and the characters without giving anything away, so I won't go into any detail at all. Read it for yourself to see what happens, just be warned that there are some unexpected twists and turns, and there is no black and white separation between good and evil. I can't recommended this highly enough. Brent Weeks is one of the best fantasy authors in a long time. 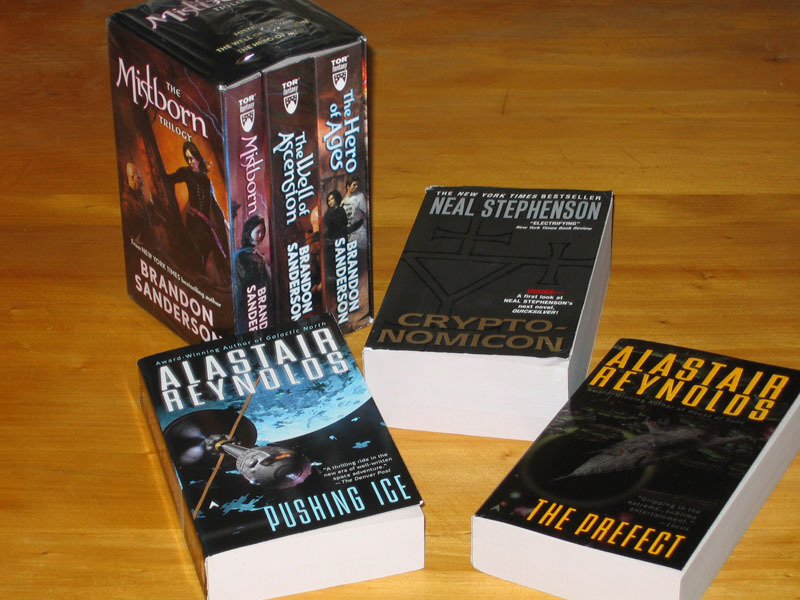 Each of his novels brings something new to the table and The Black Prism is no exception. 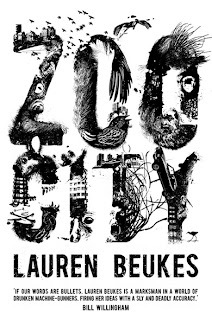 Check out the amazing trailer for Zoo City the newest novel from fellow South African, Lauren Beukes (author of Moxyland). 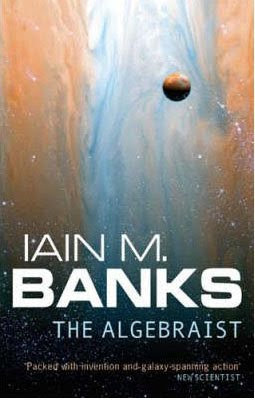 I normally love reading Iain M. Banks' novels and I'm currently busy with The Algebraist. Unfortunately this seems to be an extremely slow read. I'm a third into the book and it really hasn't captured my attention yet. The complexity of the alien cultures and hierarchy of the different organizations at play (accompanied by the obligatory explanations and history lessons) seem to bog down the story considerably. Somewhere in the middle I almost gave up, but persevered. Normally I love Bank's work, but this one was just a bit too slow, with nothing much happening except for dialogue/descriptions of history/political/religion lessons. The last 120 pages or so did redeem it and was much more enjoyable. In the end the concepts presented where interesting, but some story-lines could easily have been left out. The villain, seems to pop in for two or three brief and gruesome appearances and then disappears without any trace or a gratifying well-deserved demise at the end. Overall this is one of the novels that didn't impress me much. There are interesting concepts locked away within the volumes of text but are largely left unexplored. The true downfall is that the pace of the book is just too slow to make it a gripping read. At times you are left wishing that something interesting would happen already.